Fundacja Pamięć, Która Trwa - Łosiewice – October 13, 2015. Łosiewice – October 13, 2015. 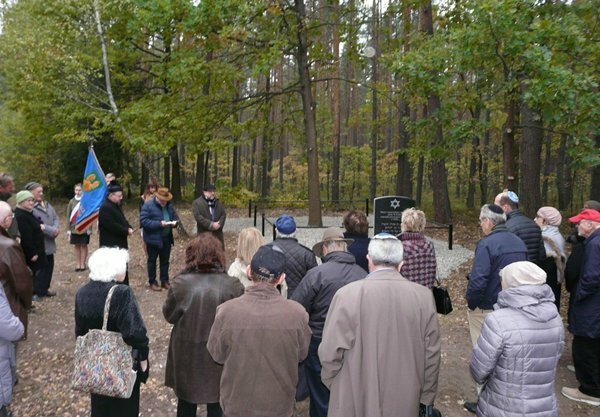 An unveiling ceremony took place in a forest in Łosiewice, over the grave of approximately 70 Jews murdered by German soldiers in 1943. Next to the memorial erected by the Lasting Memory Foundation, at the place of the victims’ execution and burial, gathered local residents and invited guests to pay honors to the dead. The ceremony was honored with the presence of the following guests: Chief Rabbi of Poland Michael Schudrich, priest of Jerzyska Parish Marek Dąbrowski, Rabbi Michael Paley with a group of guests from New York, local authorities, Principal of High school in Łochów along with the students and the school banner guard as well as the residents of Łosiewice. 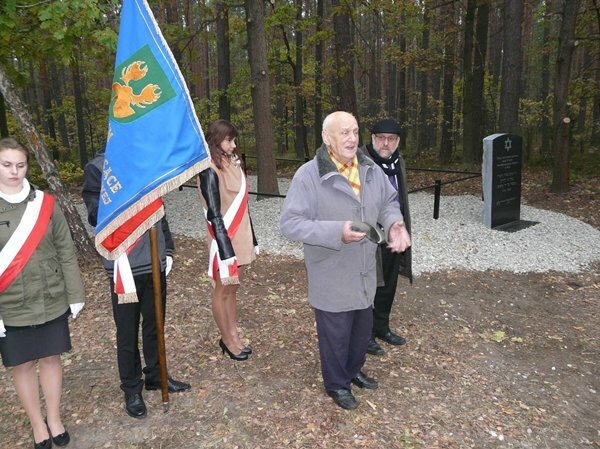 Zbigniew Niziński, The Lasting Memory Foundation’s President, led the ceremony. After the Rabbis and the Parish Priest said prayers, bouquets were laid at the memorial. One of the residents – an eyewitness – recounted the course of the tragic events that had taken place in 1943. 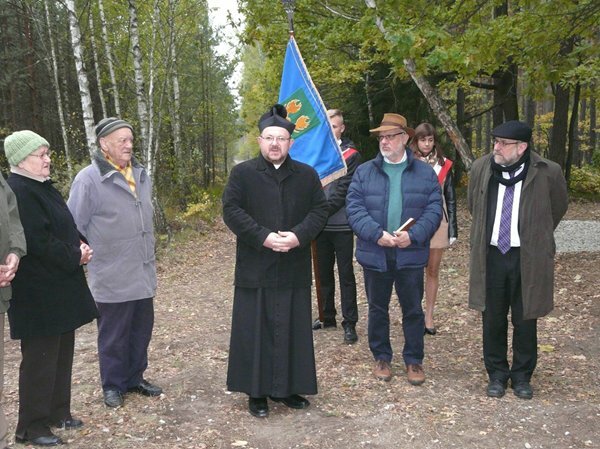 The Jews were then hiding in nearby forests. Among them there were possibly also escapees from trains heading to the extermination camp in Treblinka. 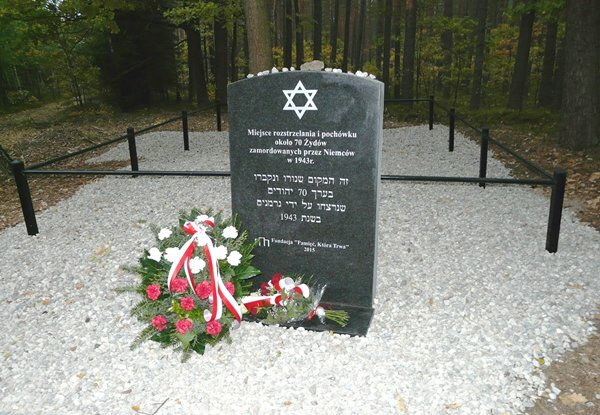 During a manhunt the Germans captured a group of about 70 people who were afterwards taken to this place and executed. 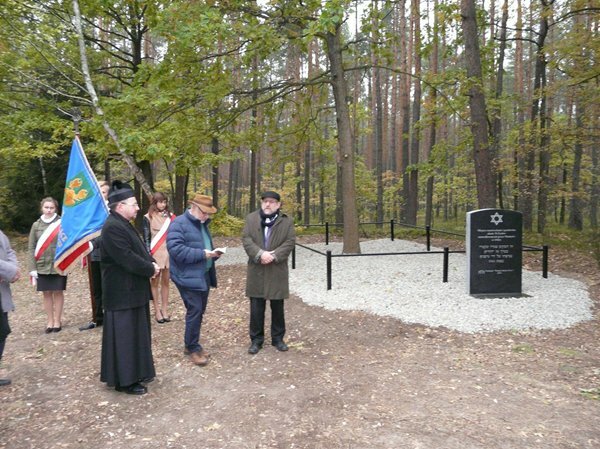 At the Germans’ command, Łosiewice residents buried the victims in one pit. This Sanctification was enabled by the support of donors from Orange County, JFFS, California.